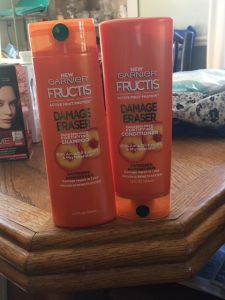 Fructis is on sale this week at CVS for 2/$7. I used the $3/2 coupon from 6/3 S plus the $2/2 from the Magic Coupon Machine and paid a buck a bottle. Also grabbed more hair color, since this week your Buy 7 Get 1 Free has been improved: each purchase of two counts as three towards your goal. My six boxes won’t be reflected on my account for a couple of days, but I’ll hit ’em again before the end of the week for more freebies.